We bought a round bread, although it could be done with many types of bread, it will look more like a classic cake. 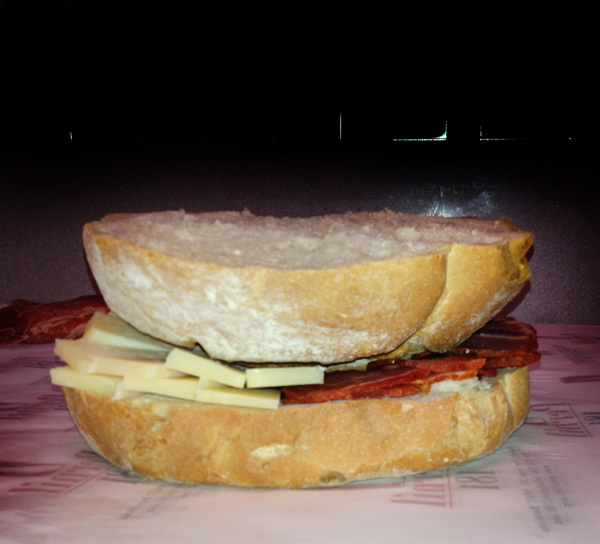 Open it in half and fill with sliced ​​iberico sausages and Spanish cheese. After that, put the top of the pan upside down above the sausages. 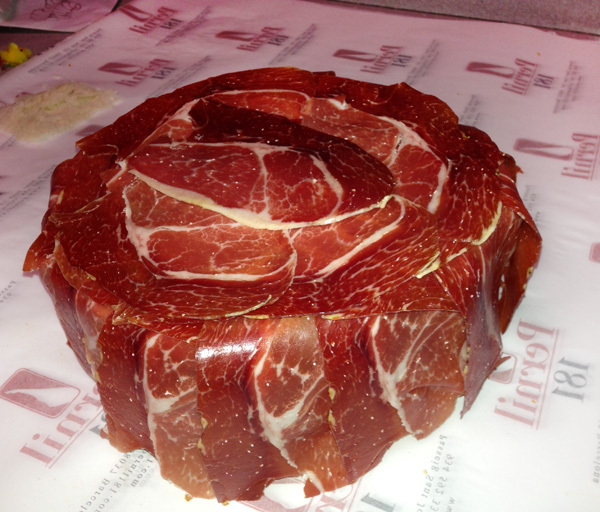 Gradually cover the cake with slices of Bellota pata negra ham until you can not see the bread. 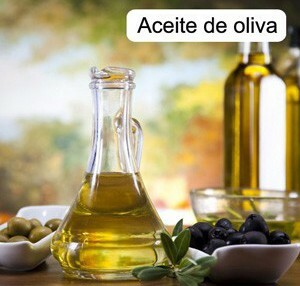 Decorete acording your taste. 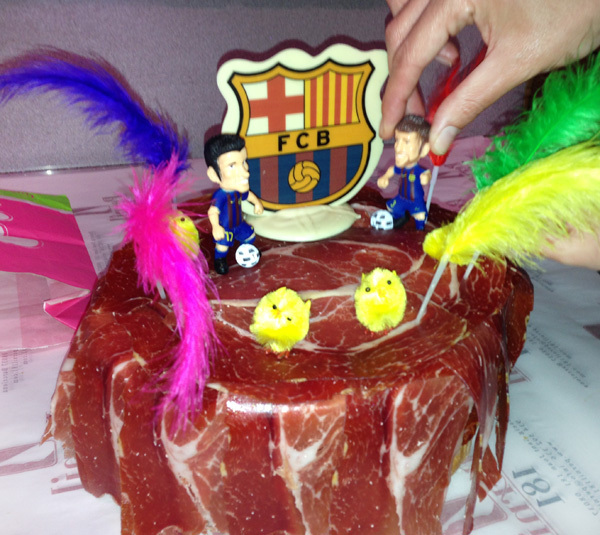 Here we see a cake for a child fan of FC Barcelona.